This is their first LP, I posted the other two last year. As is so often the case in these situations this first installment is the best and features the most ingenious compositions. In particular, the classical music influence comes through very strong and clear. These guys are very similar to Oregon and Ralph Towner as I mentioned earlier. Over the years I've listened to this album hundreds of times and last night, listening again, I still found endless beauty and forms most magnificent as Darwin could have said. Many many thanks for Quartet Music - ST (1981) . I'm so grateful for listening for first time. I had been searching from 1985 or 1986 for this album. Then I was informed from Down Beat magazine. thanks for the quartet music. 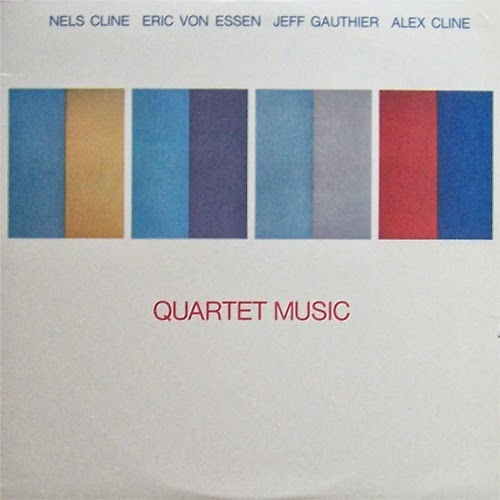 could someone please provide a rip of the (related) nels cline & eric von essen elegies lp? thank you! Please consider reposting the files in lossless format. Thank you!